Take-apart boats seemed to be everywhere at the Beale Park Thames Boat Show this year. 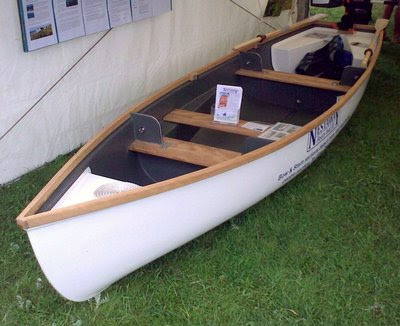 This is Nestaway Boats' M-P-B (multi-purpose-boat), a 14ft by 3ft 6in boat that splits into three sections for transport in the back of a Ford Focus Estate. She can be rowed, sailed or powered at up to 12 knots with one person aboard. The parts are assembled with just six bolts.